Simple changes keep the Gravity Rush sequel fresh. The platform holder stands at E3 are always the most hellish. Both Sony and Microsoft always plops their media check-in at the far end of their stand and one has to fight through a throng of sweaty people. Music blasts. It’s relatively miserable. Hidden among this sprawl are always one or two gems. Games with one or two stations that go almost ignored because they’re sat across the row from a far heavier hitter. More often than not, these almost-missed games are often some of the best of E3. That’s definitely the case with Gravity Rush 2 this year over at Sony. The European arm of PlayStation mercifully has a secondary meeting room space for European press, but the situation up there wasn’t much different to the show floor. All too often, the two Gravity Rush demo stations were empty. As far as I’m concerned that’s a bloody crime: the continuing adventures of Kat were a highlight of the show for me. The original Gravity Rush was a great little game that had the unfortunate fate of being a combination of two of the deadliest things in the current generation of gaming. A small-budget, niche Japanese title on the PlayStation Vita. That’s a harsh combination. It was a little gem of a game, however, and I’m extremely pleased Sony decided to greenlight a HD remaster of the first game and a fully-fledged sequel at all. 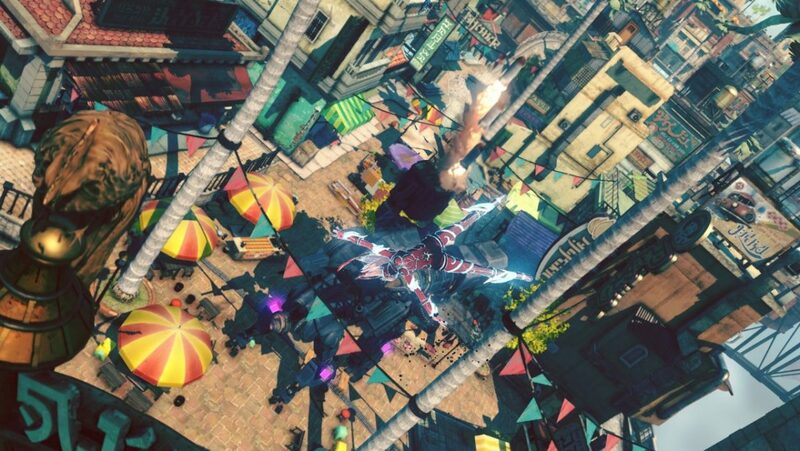 What’s most surprising about Gravity Rush 2 is how much is similar. I’m not sure if it’s because Sony figure not many people played the first game or just because the directive is to keep the budget down, but this is absolutely the same sort of game. It picks up in the same narrative place and features the same core mechanic as the original title – manipulating gravity to platform Kat around or impact enemies. Even the story is told in the same way as on the Vita, through illustrated comic book panels and text bubbles, something I rather didn’t expect. There’s a lighter air about the tone too. It’s a game that doesn’t take itself too seriously. It’s not shooting for mainstream success, and it seems that might be a liberating influence in general. 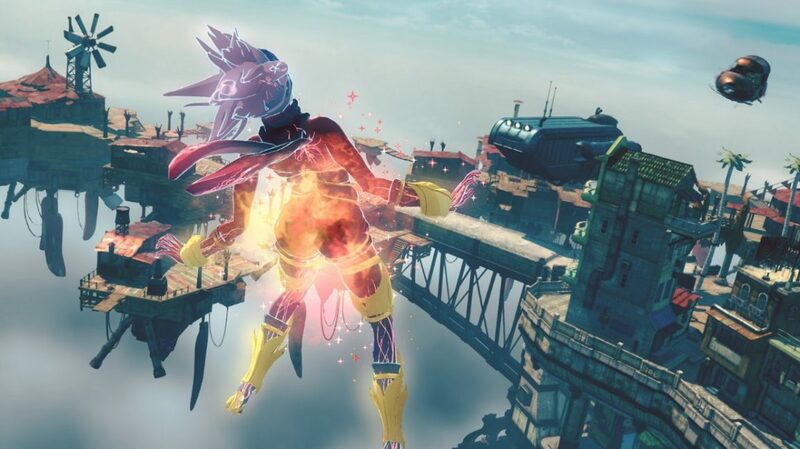 The important thing is that Gravity Rush 2 still has compelling and fun gameplay. The opening of the unfortunately rather short demo offers a tutorial of how Kat’s gravity-bending powers work, seeing you flying from rooftop to another in pursuit of a bird. Nothing is lost in the transition from the Vita to the big screen, and the cell-shaded visual style that’s carried over looks particularly gorgeous at a higher resolution. While the basis of the game is the same, Kat does come into Gravity Rush 2 with a few new gravity modes named after Jupiter and the moon respectively. Jupiter style makes gravity heavier, while Lunar style does the reverse, making everything a little floatier. This has an impact not only on travelling around but also on combat. Lunar style will make you a little more agile, while Jupiter style’s increased gravity will also mean Kat’s kicks hit a little harder than they otherwise would. At any time, you can switch back to normal, and it quickly becomes clear switching between these styles will become a key component of combat. Kat doesn’t have a ground pound, for instance, but you can effect one in-game by jumping high in Lunar style and then switching the gravity to Jupiter, thus slamming to the ground and dealing damage, ready to fight in the heavier-hitting mode. If the original Gravity Rush had a problem it was in the simplicity of its combat, but the sequel feels like a solid refinement of that. It’s hard to believe that the addition of two mechanics – and such simple ones – could make such a difference, but even in my oh-so-short hands-on time I was having more fun with this title than I ever did its predecessor. There’s plenty of other bullet points for the back of the box; it’s prettier, it’s higher resolution, and of course it’s far larger than the first game with cartridge size no longer a going concern. 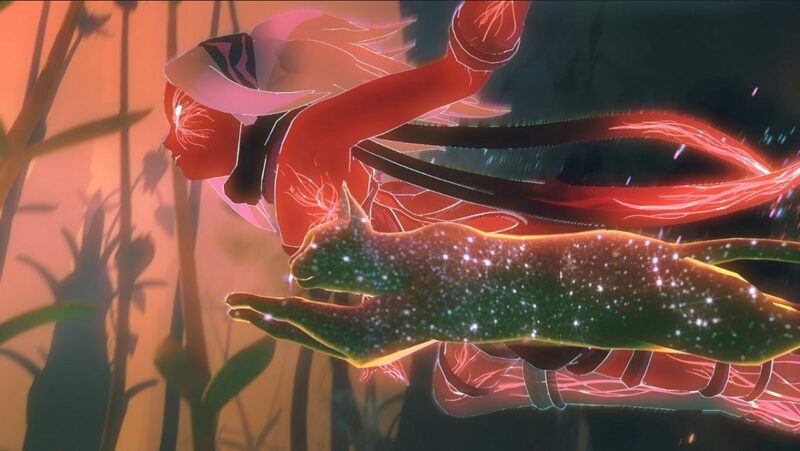 All these things are nice, but what strikes me most after a little time with Gravity Rush 2 is how polished it feels. 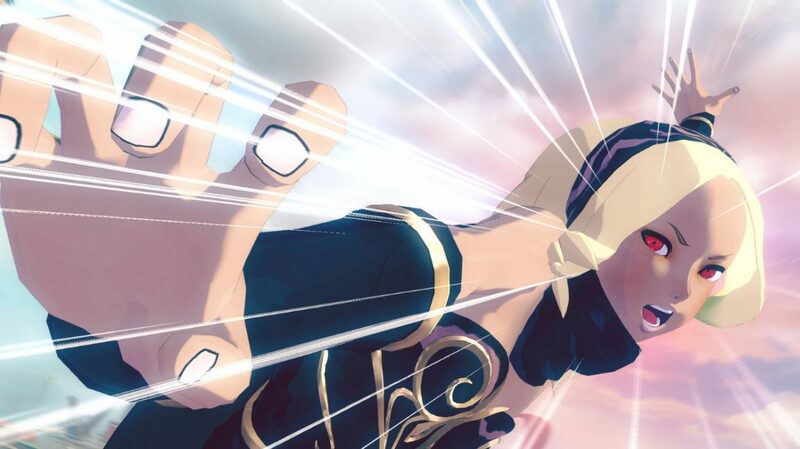 The first Gravity Rush was a great third-person action game with a strong unique mechanic. This appears to be the same, but better. I don’t think it’s likely to find large mainstream success, and that’s why Sony pushed it to the edge of their E3 presence, but they’ve probably got another cult favourite on their hands.